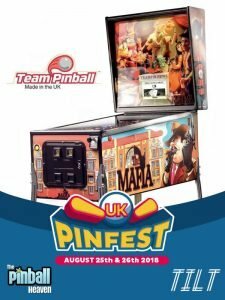 The Mafia – World exclusive reveal at UKPinfest! You are here: Home / News / News / The Mafia – World exclusive reveal at UKPinfest! We are pleased to announce the world exclusive reveal of the first pinball machine from Team Pinball Be one of the first players in the world to play the machine and join in on the Q&A with the people behind Team Pinball!